The NBA makes a lot of important decisions during the Summer, behind the scenes of the summer league. Regarding the structure of the league, the seeding for the playoffs, whether hacking players remains relatively “worth it” for teams and other interesting conclusions and decisions. The way it is now, the division winners are guaranteed a top four seed in the postseason, along with the non-division winner with the best record. A few times in the history of the league, usually in the ultra deep West in recent seasons, that meant a team with an inferior record getting a higher seed than someone who hasn’t won the division but finished with a better record. The home court advantage goes to the team with the higher record, not the higher seed. The competition committee has suggested the NBA scrap the current system and move to straight 1-through-8 seeding, regardless of the position in the division. The board of governors still hasn’t voted on it, but Adam Silver expects the change to pass before the beginning of the NBA season. What does it mean for divisions? Conferences? There’s a good chance we might see that scrapped in the near future as well. The league refuses to make further changes to the intentional fouling phenomenon. Instead of making it become a flagrant foul even outside the final two minutes of the game or give teams the choice of the shooter, the league prefers to see games drag on and turn into a free throw fest, just like a huge chunk of the Rockets-Clippers conference semifinals turned out to be. Nothing big, but the chances of players hitting cameramen and getting injured will hopefully be reduced by the league creating more empty space. It doesn’t mean pushing out expensive seat owners. It just means expanding the court a little bit, although it’s probably not going to do much good. Free Agency skipping isn’t going to stop. 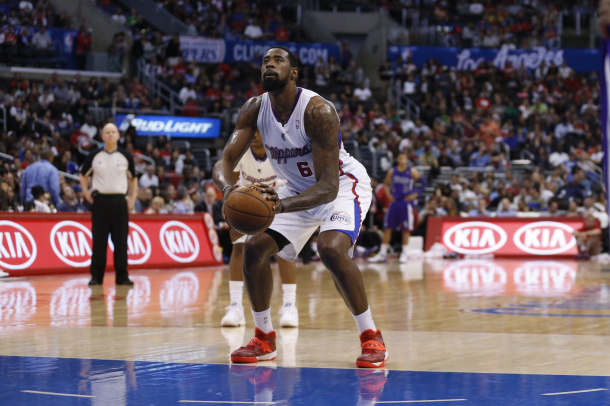 The DeAndre Jordan fiasco (there sure are a lot of DeAndre Jordan related-stuff, aren’t there?) isn’t going to make the league change the structure of free agency. The moratorium period which gives players a chance to commit without signing and then bail out on a team that based its entire free agency on getting that player remains. Instead of figuring out the salary cap earlier and making it an actual free agency period right away, the NBA prefers mayhem. That’s what Adam Silver said. That a third of the team’s in the NBA are losing money. Maybe they’re cooking the books, or maybe this is just the league’s way of telling the players it’s not going to be easy in the upcoming negotiations, with the 2011 CBA about to expire. Adam Silver says there’s no expansion planned at the moment, and that Milwaukee won’t be losing it’s basketball team, with the city about to approve the financing for a new arena.